After being a game-time decision, Joel Embiid scored eight of the Sixers first 10 points. What started out on a good foot, quickly went south. You could see the effects of him missing most of the final month of the season because of tendinitis in his left knee. He hung out around the three-point line a bit too much and it showed as he missed all five of his first-half attempts. Brooklyn, led by D’Angelo Russell, started heating up and led his team to a game one victory with 26 points. The Nets had five players in double figures. The Sixers were led by Jimmy Butler who definitely lived up to his moniker ‘Jimmy Buckets’ with 36 points. Joel Embiid with 22 points and Boban Marjanovic with 13 were the only other players for Philadelphia in double figures. The always reliable three-point shooter, JJ Redick only managed to score 5 points in the entire game. As a team, the Sixers went 3 for 25 from beyond the arc and six of the starters shot a combined 11-31. At one point, the arena was full of Sixers fans booing the poor performance from their team. There is a lot to clean up before game two or this could be a quick post season. While the Sixers definitely came out in game two with more energy and at one point shot themselves to a 19 point lead, the Nets were only trailing by one point at the half. However, according to some of the players speaking after the game, Brett Brown’s halftime profanity-laced tirade was just what they needed to propel them to a record 51 point 3rd quarter. They started the third quarter on a 14-0 run and pushed the lead to 20 turning the boos into a frenzy of cheers. After that explosion, although the Nets tried to claw back, the Sixers kept their feet on the gas and kept it moving. Unlike Game 1, where only three Sixers scored in double figures, Game 2 saw six players in double figures, led by Joel Embiid’s 23 points. Ben Simmons definitely silenced the boos this game. It was a nice turnaround after a disastrous Game 1 where he was not only terrible on the floor but worse after the game when he criticized the fans for booing him. He had a triple-double with 18 points, 12 assists, and 10 rebounds. 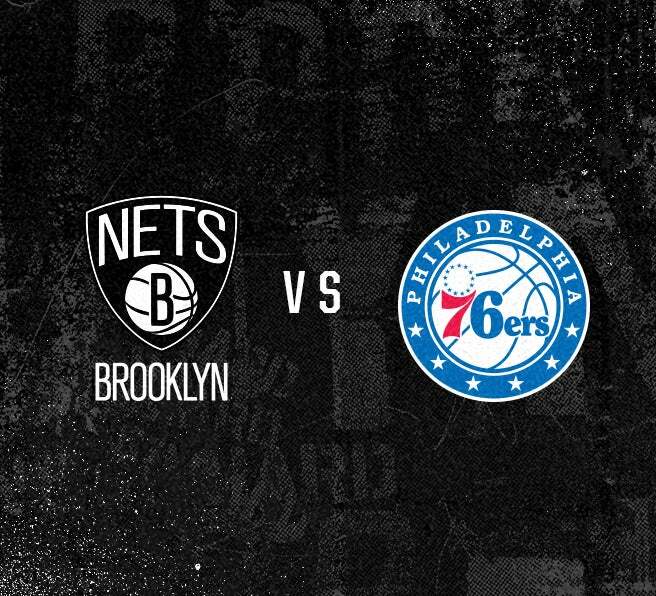 Hopefully, the Sixers will carry the momentum from their win with them to New York for Game 3 at the Barclays Center.